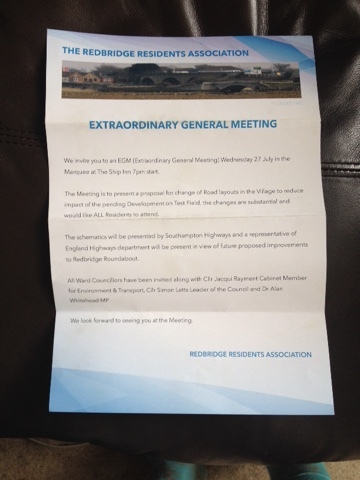 If you live in Old Redbridge, you should have received an invitation like the one above. Please come to the public meeting on the Test Lane development! It is this Wednesday July 27th at 7pm at the Ship Inn. We continue to fight against this development. The Daily Echo has a piece on the meeting and our work here.